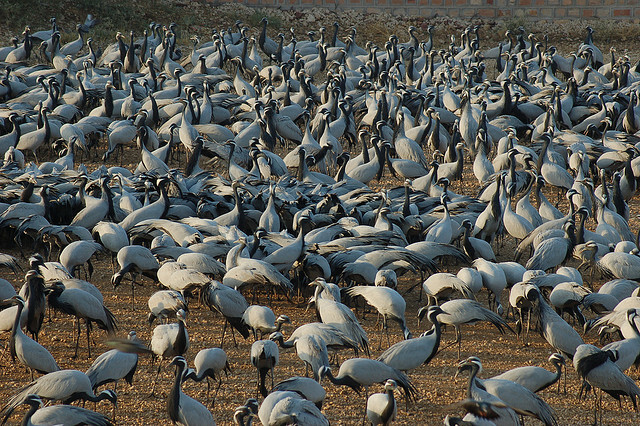 Kheechan is a village near Jodhpur which satiates the desire of all bird watchers to come and sight the Demiselle Crane which is called Kurjan in local dialect. These birds migrate from Poland, Ukraine, Mongolia and Europe during the winters. Do visit the adjoining village of Phalodi where one can see the villagers crafting the jootis (shoes). These villages are a must visit to see the traditional and intricately designed Havelies with grand Jharokha. Kheechan is about 130 KMs from Jodhpur and 5 kms from Phalodi.